Available in Oil Rubbed Bronze or Black. KEYLOCK: a key-operated lock on the exterior and a push button lock on the interior. These are most often used on the entry doors of a residence. PRIVACY: has a push button lock on the interior. Often used for a bathroom door. 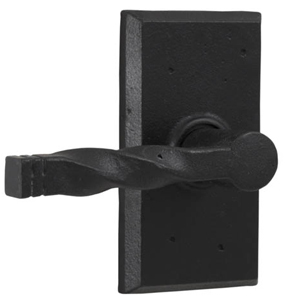 PASSAGE: does not include a locking mechanism and is usually used for bedroom or other interior room doors. DUMMY: has no latch or other internal parts. Dummies do not turn are most often found on closet doors. Dummies come with ONE knob.